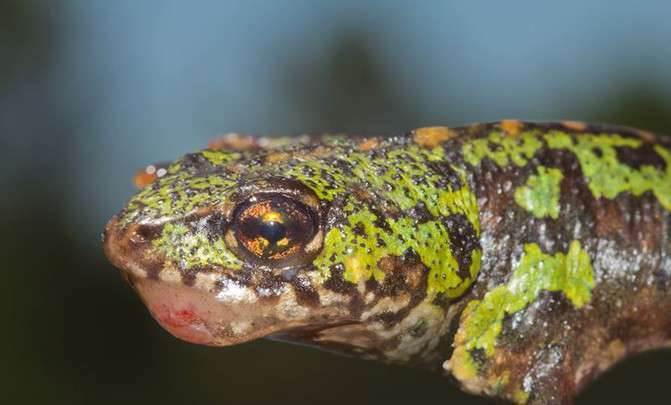 A new strain of ranavirus is currently causing mass mortality in several species of amphibian in the Serra da Estrela, the highest mountain range in continental Portugal. This infectious agent is hypervirulent and also affects fish and reptiles, which complicates the situation, according to a study boasting the collaboration of the National Museum of Natural Sciences in Madrid. An emerging virus is affecting amphibian populations in Portugal, but this is not the first time amphibians have been a source of worry in the country. 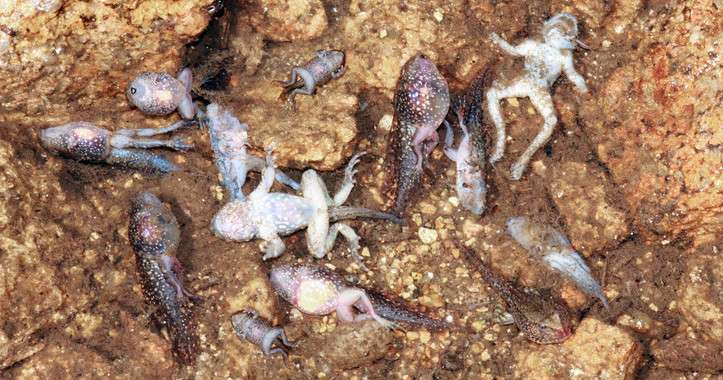 In 2009, hundreds of midwife toads (Alytes obstetricans) were found dead in Serra da Estrela Natural Park. A research study published in the journal Scientific Reports raises a new alert on this genus of virus, which has also been discovered in Spain and elsewhere in Europe. As Jaime Bosch, a researcher at the National Museum of Natural Sciences and co-author of the study, tells SINC: "Ranaviruses have been known about for a long time, although in recent years globalisation is setting off mass mortalities throughout the world, and new strains also keep appearing, probably from Asia." The fact that these viruses also affect fish and reptiles complicates the situation enormously, firstly because they can spread easily and also because of their persistence in the environment, even after amphibians disappear. "They have probably been infecting amphibian populations in Spain for several decades. In 1992 we discovered what turned out to be the first known case in our country, although at the time we didn't even know exactly which organism caused the problem," the scientist adds. In autumn 2011, another curious episode of mortality arose in the Serra da Estrela, which not only affected midwife toads but also other species of amphibians in the park. The episode was in contrast to all mortality patterns previously associated with chytridiomycosis on the Iberian Peninsula and Europe. Tests carried out on dead animals confirmed that not only was there infection by chytrid fungi; they then discovered the new strain of ranavirus in all species analysed. "Viruses of this genus are found all over the world and can infect various groups of animals. But different strains have different degrees of virulence and the one circulating in the Serra da Estrela belongs to a hypervirulent group called CMTV-Ranavirus," explains Gonçalo M. Rosa from the Portuguese Centre of Ecology, Evolution and Environmental Changes (CE3C). "This new strain has been linked to annual mass mortality of several species of amphibian, similar to the mortality recorded in northern Spain." The ranavirus is highly infectious to several species at various life stages and can reach various altitudes. "This strain has the potential to affect practically all species in the systems in which we discovered them," M. Rosa emphasises. It therefore represents a crucial challenge for wildlife conservation and makes it necessary to urgently optimise conservation strategies for amphibians. The best-known case in Spain is that of the Picos de Europa National Park, where scientists have been working since 2005. "Several amphibian populations at the park have practically been wiped out, and we have not yet been able to find a method to diminish the effects of the disease," the researcher laments. In addition to this case, another is currently being studied in Pontevedra and, in recent years, they have detected three further episodes of mass mortality related to these viruses in other areas of Spain, which have not yet been published. "At the moment, the only option to combat these viruses is to prevent them from spreading, since treating animals is not possible, and eliminating them from the natural environment even less so," explains Bosch. Establishing severe border controls could prevent new strains entering through the exotic pet trade. Monitoring the species introduced - mostly fish - would be fundamental to end their most abundant reservoirs.